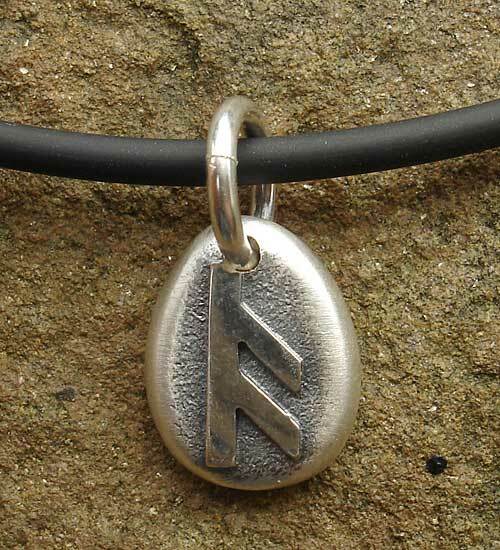 Personalised Runic Silver Necklace : LOVE2HAVE in the UK! 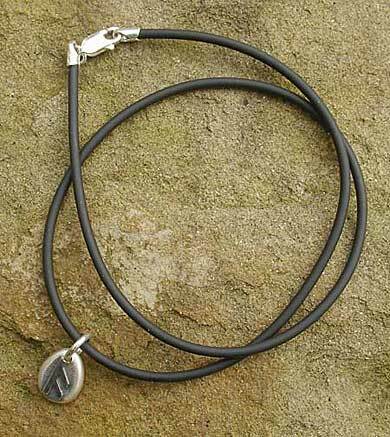 A personalised Viking silver Rune pendant on a rubber thong. The pendant measures approximately 10mm x 12mm. The letter featured here is A, but you may choose one yourself. Indicate your choice in the comments box at check out. The silver has a slightly distressed appearance for that authentic aged look. The Runic alphabet dates back to the Viking settlers. 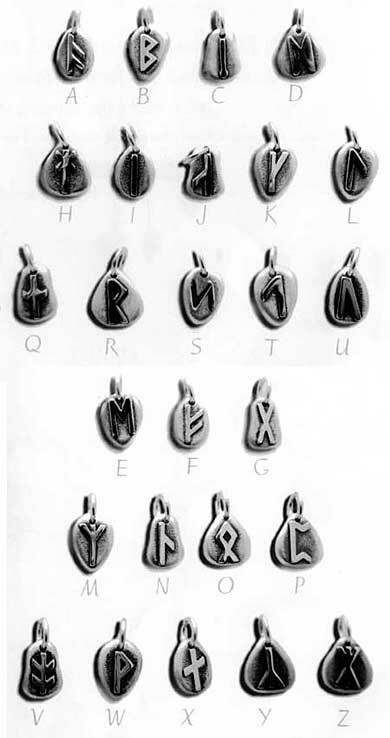 Each runic symbol symbolises a letter from today's alphabet as indicated by the chart. You can also choose the length of the necklace also by mentioning this in the comments box at check out too. 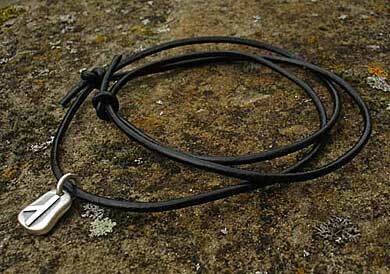 Metal(s)/Material(s) Available: 925 sterling silver and rubber.